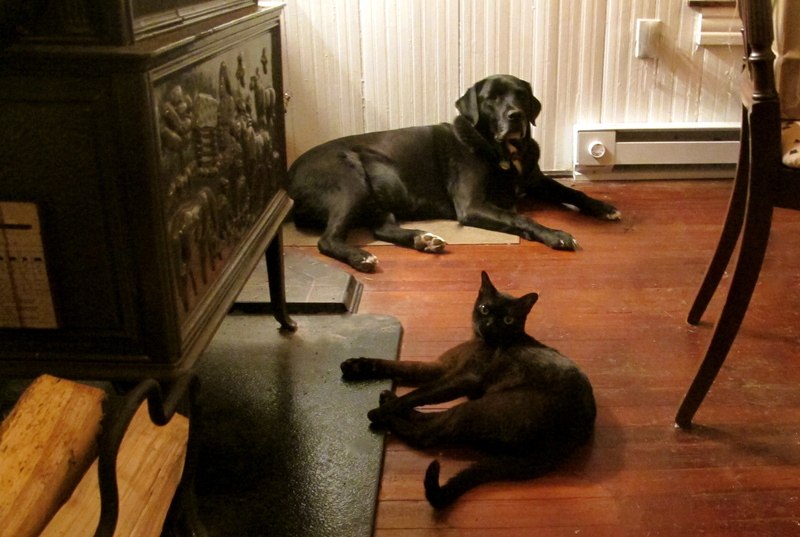 So, these sweet brown boys have been hanging out. Nipsey Russell, meet Mr. Samson. They both think that they’re human, so they’re constantly confused as to what the other guy thinks he’s doing hanging out. 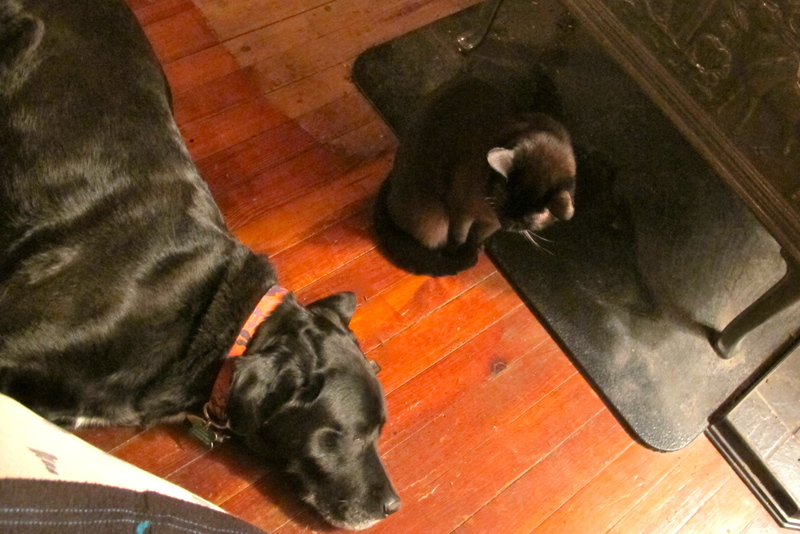 Still slightly skeptical of each other (and the existential crisis of whole cat/dog thing), one thing they both agree on: laying by the woodstove, as close as possible to our people is just about as good as it gets.